It isn't only on the ice where Ryan Malone manages to make a difference. He's been huge in the 2010-11 NHL Stanley Cup Playoffs, helping lead the Tampa Bay Lightning to the Eastern Conference semifinals. But Malone, who has five points in 11 post-season contests, including one game-winning tally, isn't just making an impact when the game is on the line. For those who know him well, including Jeremiah Minkel, the long-time Hockey Equipment Manager at Minnesota's St. Cloud State University, Malone's penchant for coming up big in crucial times extends far beyond the rink. Minkel also knows Malone, the son of former NHL forward Greg Malone, was and still is equally dependable outside of the arena. “I called Ryan earlier this year to let him know a former student here needed a bone marrow transplant,” recalled Minkel, a 17-year veteran in the SCSU equipment room who'll begin his 13th season as the team's equipment manager on a full-time basis at the school in 2011-12. Selected in the fourth round, 115th overall by the Penguins in the 1999 NHL Entry Draft, Malone is very much the player he was at St. Cloud, a tireless worker who meticulously prepares himself for games. In 2001-02, Malone was a force for the Huskies, scoring 24 goals and adding 25 points in just 41 games. His ability to score goals in any form, be it pretty or ugly, made him one of St. Cloud's most respected athletes. “He came in here and from day one he showed a competitive drive and desire to be the best player he could be,” recalled Minkel, who watched Malone net 30 points in 38 games in his freshman collegiate year. “He worked his tail off in the weight room. You could see how that paid off in the games. His intensity on the ice was offset by a laid-back demeanor when he wasn't wearing the St. Cloud jersey. Not surprisingly, Malone was popular with fans, coaches, teammates and just about everyone else he was familiar with. Fans who are no doubt still following Malone's hockey career. The Pittsburgh native played 81 games of his rookie NHL season with the Penguins during the 2003–04 season. Malone didn't play with Pittsburgh again until the 2005–06 season, spending time during the 2004–05 lockout playing in Finland, Italy, and Switzerland. Playing on a line with Sidney Crosby and Mark Recchi during the 2006–07 season, Malone notched his first four-point NHL game on December 13, 2006 against the Philadelphia Flyers. Two days later, he scored his first NHL hat trick, against the New York Islanders. In doing so, Malone and his father became only the second father-son duo in NHL history to score hat-tricks for the same team, along with Ken Hodge, Sr. and Ken Hodge, Jr. He achieved another interesting feat against the Islanders on February 19, 2007, when he recorded his second career hat trick by scoring a goal in the first minute of all three periods. 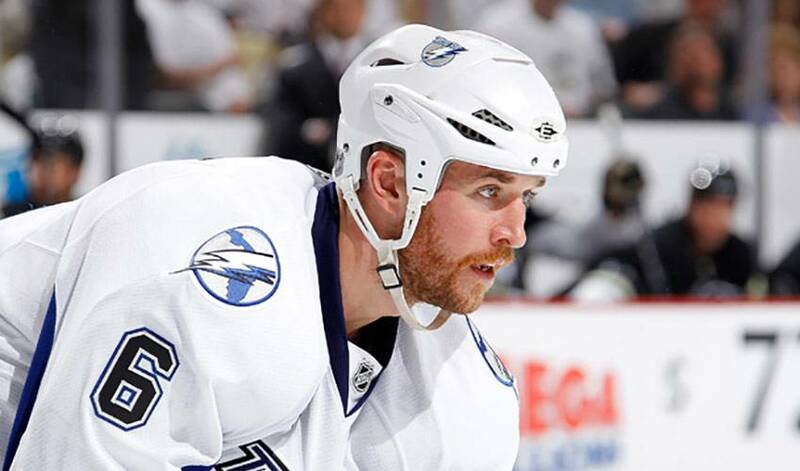 On June 28, 2008, the Lightning acquired exclusive negotiation rights with Malone and Gary Roberts from the Penguins for a third-round draft pick in 2009. One day later, they signed Malone to a seven-year contract worth $31.5 million. Win or lose, Minkel knows St. Cloud can always depend on people like Malone.